Just up the road from the Roman Catholic Church in Portugal Cove, on the side of a green hill, is the RC cemetery. It's a fairly large, sprawling cemetery, with headstones (many as old as the mid 19th century) standing in clusters through the trees. This is just one of the many interesting burial spaces that PCSP has, all of which are physical reminders of the community's long settlement history (which, no doubt, is closely connected to the fishery). Because of the historic significance of these spaces, cemeteries are worthy of attention so that they can be protected to the best of our abilities. 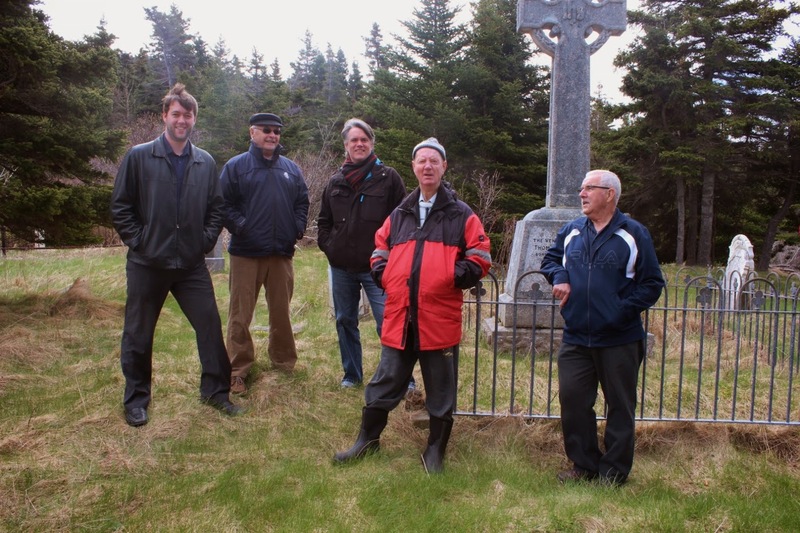 This is a huge task in Newfoundland, as the climate is hard on the stone, and there are so many cemeteries that need attention, that it can feel overwhelming to try and protect them all. But even small measures can go a long way. 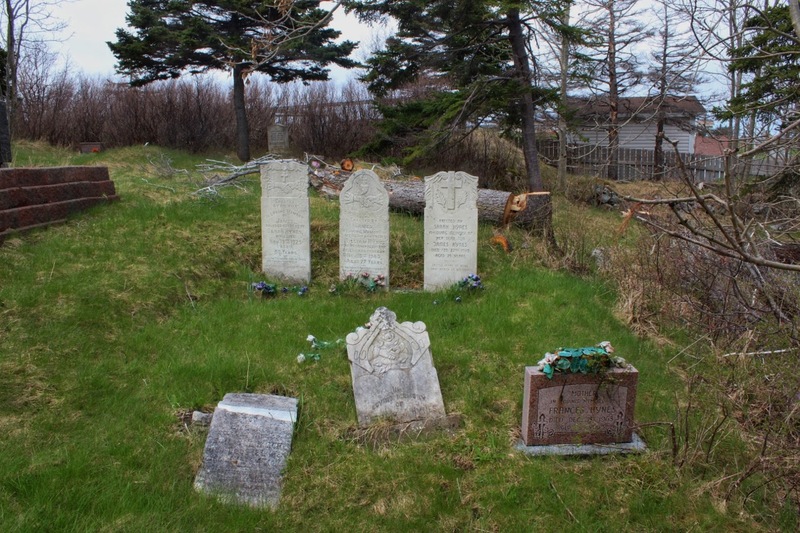 The Roman Catholic Cemetery has been tended to some degree over the years, and this summer, it is schedule to have an intensive clean-up by a group of volunteer students from MUN. The RC Church in Portugal Cove, close to the RC Cemetery. On June 24th, 2014, 30 to 40 students with the "Make Midterm Matter" program will be showing up to do their part. Not only will they work hard to clear brush, clean up garbage, and cut away growth from headstones, but it will also be a learning opportunity for them. They will be given a few tips for how to tend to headstones without doing any damage, as well as learn about what the symbols on the headstones mean. 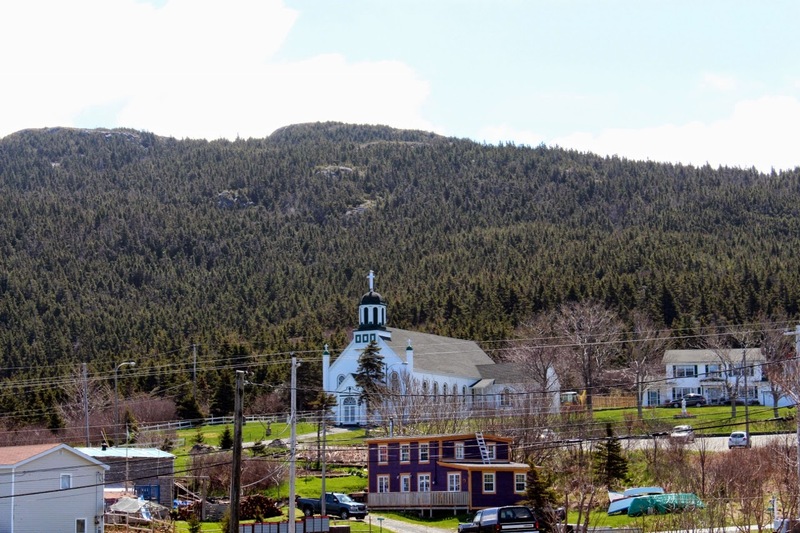 This day-long heritage volunteer excursion is a partnership between MUN, the HFNL, the Town of Portugal Cove and St. Phillips, and the RC Church. It's the first partnership of its kind, and we hope it continues into the future. It will be a great opportunity to raise awareness about heritage issues in our communities. Hope to see you there! A small portion of the large cemetery space that the students will be working in. Endless growth and brush for them to tackle!